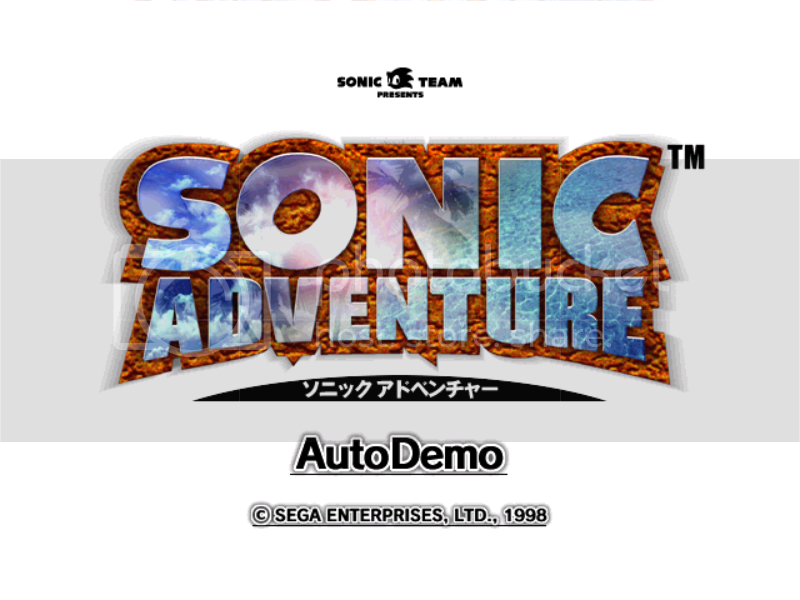 (DC) Sonic Adventure Prototype (1998-10-16) Everything you need to know + download link inside. The world's greatest scientist and soon to be the world's greatest pervert. Location:Right in front of my computer. Project:Some artwork, a ZZT game, and a hack. This is it boys and girls! 55 days after it's unveiling at the Tokyo International Forum. 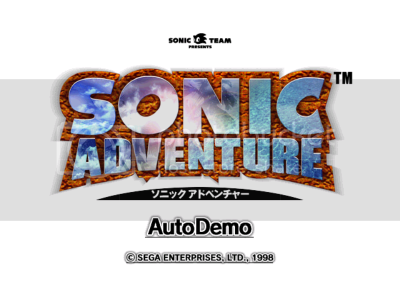 49 days before the build date of Sonic Adventure's first release in Japan. This is without a shadow of a doubt the earliest Sonic Adventure prototype we've acquired now. It's a Not-For-Sale Promotional AutoDemo. Meaning it only shows you demonstrations / cut-scenes of the game using the games actual assets. Not just some pre-recorded FMV footage. Although it's an AutoDemo, there's a chance it might still be playable through hacking from what I can tell. At first I thought this build was like a bridge between the Tokyo International Forum and the first release in Japan. It might be earlier than we think. Jen will tell you in greater detail. In any case, this build has got loads of differences from the final from what Jen and I could see. And that's just scraping the surface, we haven't even got to the meat and potatoes yet (I.e. all the files stored away). It can run perfectly fine on hardware. Not so much the case on emulation as the timing on the demonstrations goes off. I'll leave you all to tear this apart now. I'll be posting other things throughout the topic. Enjoy! GerbilEdit®: Mirrored the disc images to my server to reduce bandwidth usage on Retro. Reason for edit: Mirrored the disc images. 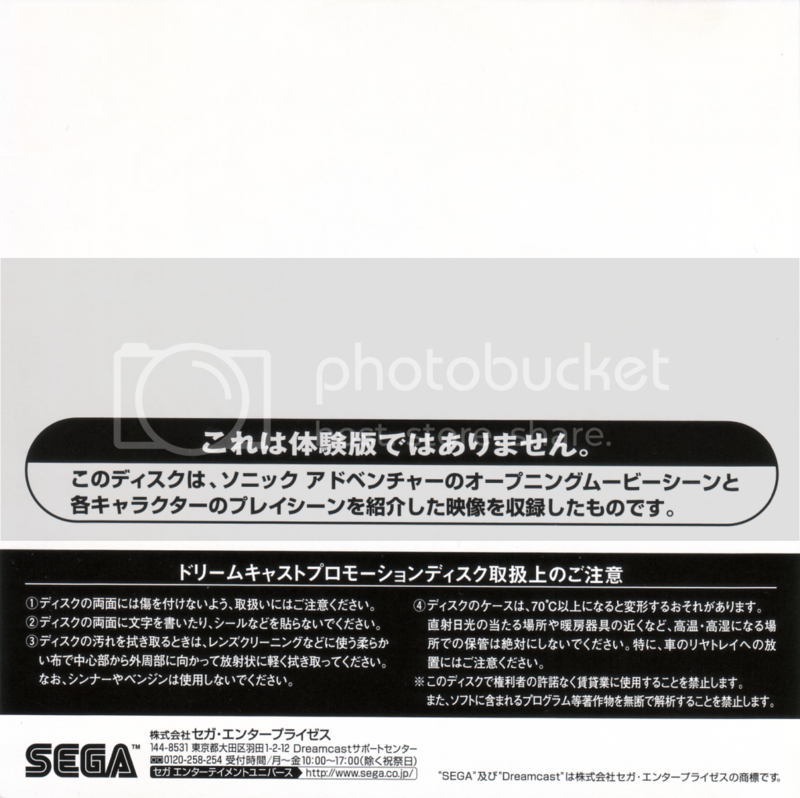 "However, the showpiece of the event was Dreamcast itself. A pre-production machine was revealed - composed of final components, but put together by hand as opposed to a factory production line. The high-point of the presentation was seeing this Dreamcast unit running an auto-demo of Sonic Adventure. Three levels of the game were showcased: Sonic on the Super Speedway (incredible speeds), Tails at the Ice Cap (escaping an avalanche on his snowboard - incredible!) and finally Knuckles (gliding and climbing around a stunning canyon in search of three emeralds). Sounds the same the first half of the auto-demo we have here, doesn't it? I wonder whether only one half of the demo was shown at this event. Unfortunately, as it was behind closed doors I've been unable to find any video footage. I also tried looking at the Game-Online article mentioned there but it doesn't exist - Wayback Machine couldn't find it either. From the brilliantly inventive Knuckles level -- searching for crystals in a 3 dimensional game of 'hot & cold' (see earlier Sonic unveiling report) to Tails' white-knuckle snowboarding ride down a mountain (chased by an avalanche and fighter jets, no less) to the crowning glory, Sonic's futuristic speedway stage -- this is a game that just screams quality and imagination. Unfortunately I've not been able to find any footage of the game from TGS 1998 either, so I'm not 100% sure that this is the case. Here's a list of differences that I've managed to spot from letting the demo run a few times, both via an emulator and on hardware. It's pretty exhaustive/obsessive but undoubtedly incomplete. I've put it under spoiler tags because of the size of it (and because you guys might want to find these things for yourselves ;P). Note that none of the graphical oddities mentioned below are emulation issues, as they also occur when running the game on an actual Dreamcast console. - In the opening movie, Tails opens his mouth as he's flying away from the building. In the final he keeps his mouth closed. - Sonic's standing position looks different at the start of the Gamma cutscene and the start of Speed Highway. His pose is similar to the one where he's crouching low to the floor, but he's not very low to the ground (if that makes sense - I'm sure you'll understand when you see it =P). - The camera angle at the start of Speed Highway is quite different. - When Sonic pushes on the barriers in Speed Highway, a sound effect is played that sounds like something scraping along the floor. This doesn't happen in the final (this can only be seen if you run the game in an emulator and thereby have the wonky timings, which makes Sonic repeatedly push the barriers before throwing himself to his doom). - There are extra Tikal hint orbs in Speed Highway which aren't normally there. - Near the start of Speed Highway when Sonic goes onto the breaking glass, he would be propelled quite high into the air before falling down onto the glass. He just sort of skips up to it in the demo. - If you watch the demo with the emulator timings, Sonic dies repeatedly but his ring count actually carries on after he dies. This is evident because he gets an extra life from picking up rings in the demo - this plays the Sonic 2 Chaos Emerald jingle rather than the final 1-up jingle. - When Sonic hits the spring taking him to the helicopter in Speed Highway, he's facing the camera (with his back to the helicopter) while in the air. In the final he's facing the helicopter, with his back to the camera. - The cutscene with Tails outside Casinopolis is playing the wrong music. - In the same cutscene, Tails keeps creepily losing the textures for his mouth, nose and eyes. This also happens in the cutscene with Gamma and Sonic on the Egg Carrier. - Well, Ice Cap - I think that speaks for itself. The camera angle when Tails escapes the avalanche is different from the final, it has the BETA TREES and a trick ramp that's split in half. This is one of the more interesting ones for me, most definitely. - In the cutscene with Amy and Gamma, there are item boxes inside one of the jail cells which aren't there in the final. Likewise, there'd normally be a black Chao egg inside one of the cells which isn't there in this version. - The layout of Kunckles' Red Mountain looks a bit off but I could be wrong. - Knuckles digs without the shovel claw. - In the cutscene with Amy and Sonic near Casinopolis, the bird has no wings. - In Final Egg, when Amy runs at top speed her hammer isn't visible. - The question mark and exclamation marks above Zero's head look different. Likewise, Zero's target looks different and he has different sound effects. - In Final Egg, there's a 1-up near the end of the demo that isn't there in the final. - In Gamma's cutscene with the other E-100 robots on the Egg Carrier, the purple robot looks like he has a white face rather than black, but I'm unsure as to whether this is a lighting issue or not. - There's a couple of areas of Gamma's Red Mountain that don't look quite right to me, particularly with the enemy placement. - In Big's cutscene, Froggy's model looks a bit odd. The colours look quite dark. - Big's level is just weird - where the heck is he? I don't recognise the area. It looks similar to an area in the final that you get to by diving right to the bottom of the sea and then swimming up inside a cave. In this cave there's a small island with a palm tree in the middle of it. However, this is not the same room - the water is way too shallow. Also, this isn't where Big would normally start the level. - Where are all the fish? - When Big hooks Froggy, the "hit" music doesn't play. - When Big catches Froggy, the Sonic 2 Chaos Emerald jingle plays. He then launches into his victory dance but the camera doesn't zoom in on him at this point like it would do in the final. I can't wait to see what you guys manage to find hidden inside this thing! Also from the looks of things, STG00.PRS appears bigger than the final. I think this used to be the test map, which would've been replaced by Hedgehog Hammer's map. There are some files from 1997. I don't know what these textures would've been for. Interesting. Sounds much more active, guess they decided later on to tone it down to be more relaxed, like the gardens themselves. 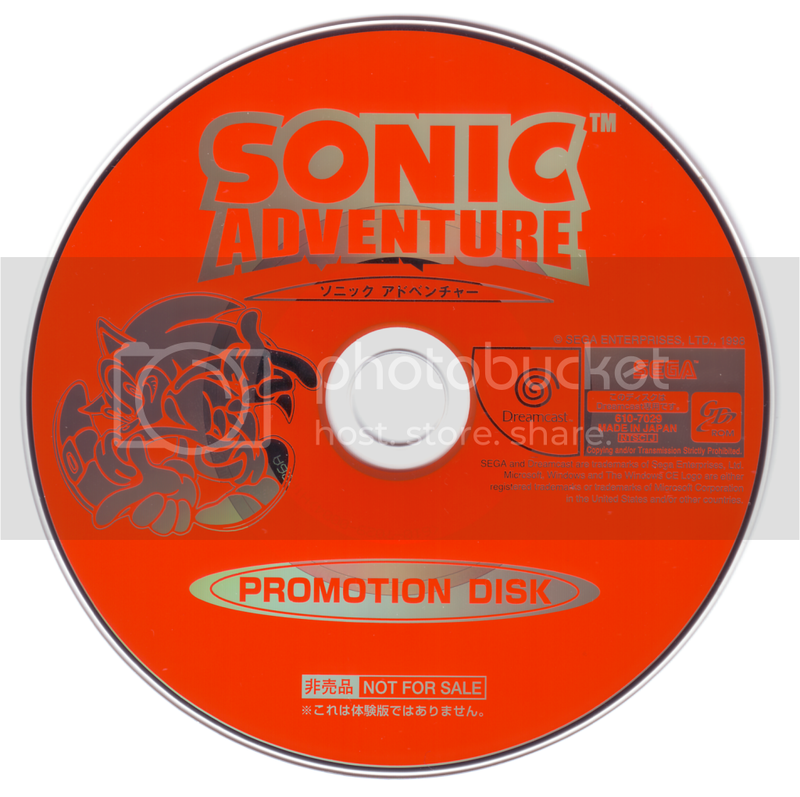 I have some videos of the actual disc running on a Dreamcast. Please excuse the poor video recording and sound as I didn't have any other way of recording it. I'll see if I can get some better quality ones at some point. Genuinely excited about this news. 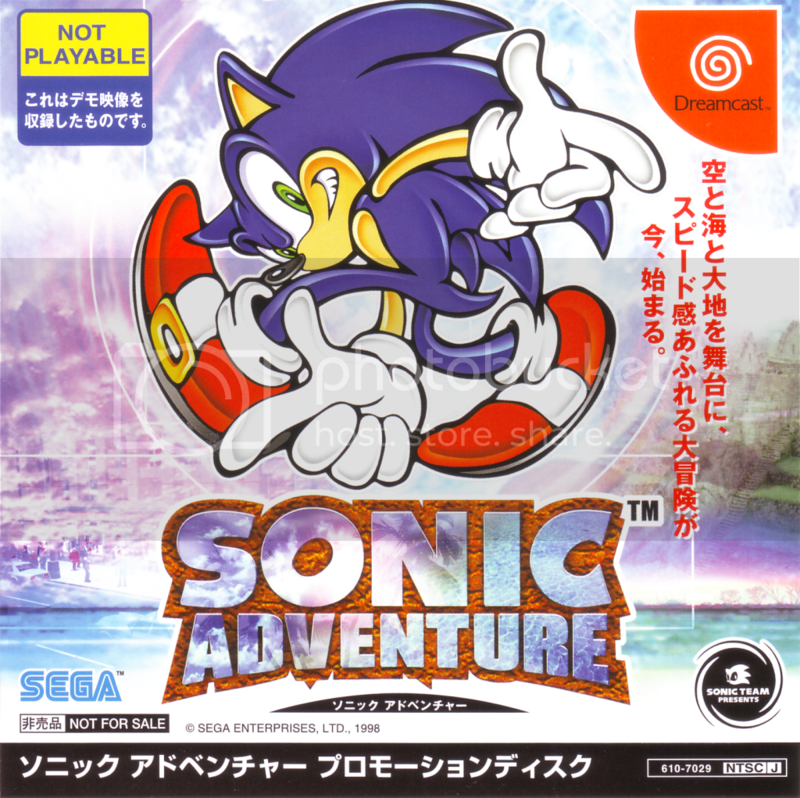 Sonic Adventure is probably the game I'm most interested in the development of, aside from finding a prototype Sonic 1. It's clear that they experimented with many different things and that some stuff was changed or omitted. I really hope there's some good stuff in there. Double posting because of youtube video limit. These are really for those who can't run it on hardware. I was able to extract all the music from the game. A lot of it is mixed differently. Not all the music's here though. But still, quite a lot for an automated demo. This is in ADX format. There are also a lot more interesting sounding file names in here. Would love if this was actually playable though. Also some localization was done. Check this out. I guess they didn't pick a name for Froggy yet. Would love if this was actually playable though. I'm really crossing fingers in hopes it's possible by means of hacking. Maybe there's a way of enabling it. Failing that, make it so that it's possible by adding controls to it or transferring any or all information to the final version. Here's the game's file list which you can easily find using a Hex viewer. Spoiler'd for size. Object list for STG00, definitely different from the final's STG00. I'm hearing some minor differences between some of the tracks. I'm gonna run a few of them through audacity and check it out. I was thinking the exact opposite, actually. The beta BGM is much more mellow and laidback, while the final version is a lot more energetic, placing a lot more emphasis on the blaring brass and accordion. I've never had a title, and I never will! Nice! If I had the money to send, I would. I hope some good crap comes out of this.